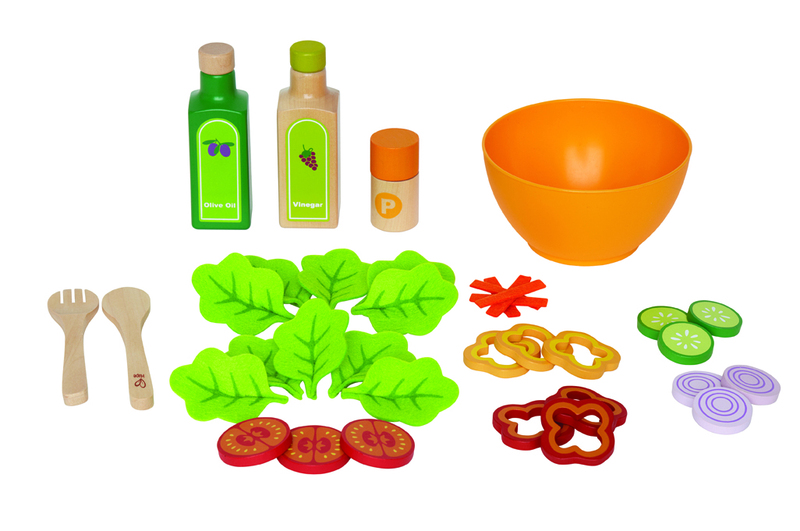 Garden Salad by Hape will allow your child to mix, toss, and serve a colorful garden salad. 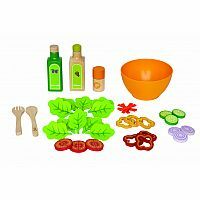 Innovatively designed set helps encourages healthy food choices. Durable child safe paint finish and solid wood construction are hallmarks of Hape toys. Hape's toys stimulate children through every stage of development and help nurture and develop their natural abilities. All Hape products sold in North America meet or exceed all applicable safety standards.